Congratulations are in order for Gilbert Grappling’s Carson Beebe. Not only will he be fighting Marlon Moraes in the co-main event at WSOF 6, he also announced on Facebook that he and his wife are expecting their first child. A win over Moraes at WSOF 6 should get Beebe a shot at the WSOF bantamweight title. You can read more about Beebe talking about the Moraes fight here. 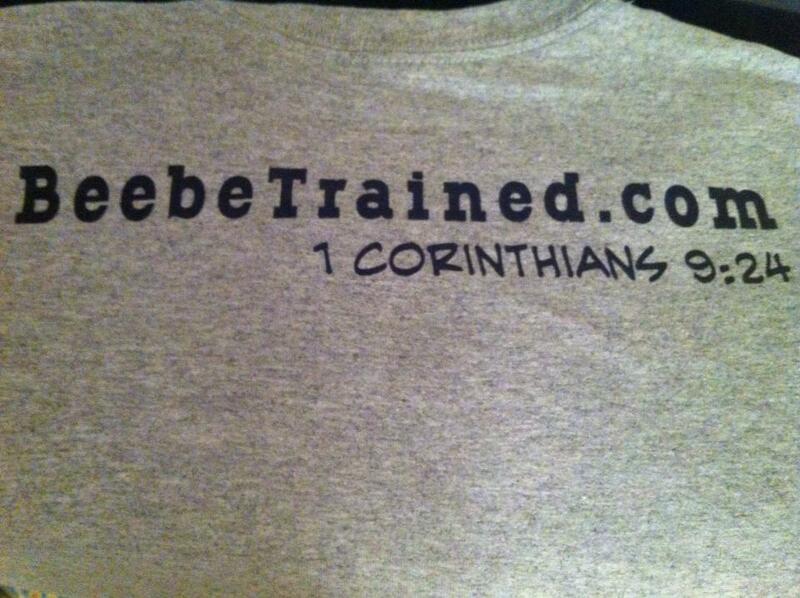 You can also get one of Carson’s new shirts by visiting the Beebe Trained website. • “Don’t blink.” Those were the words of light heavyweight Jason Belyew describing his upcoming Hidden Talent MMA fight, a title defense against current TFC light heavyweight champ Brenden Toler. Both fighters currently have two titles. Belyew has the Hidden Talent and APFC belts, while Toler owns the TFC title, and most recently captured the More MMA title. Energy MMA’s Mike Finch will also be on that card. Undefeated at 4-0, Finch will fight for the Hidden Talent MMA welterweight belt. • Love this pic from Chuck Giles, in which he thanks striking coach Gene Calderon from Torres Martial Arts. The caption for the pic is “If there was no this, there would be no that!” Giles scored a KO win at Ed Walz’s More MMA Classic on October 5. • The Chicago area may be losing one of its best amateur fighters. Mitch Nix has been training at The MMA Lab, and he’s looking to make that his permanent home. 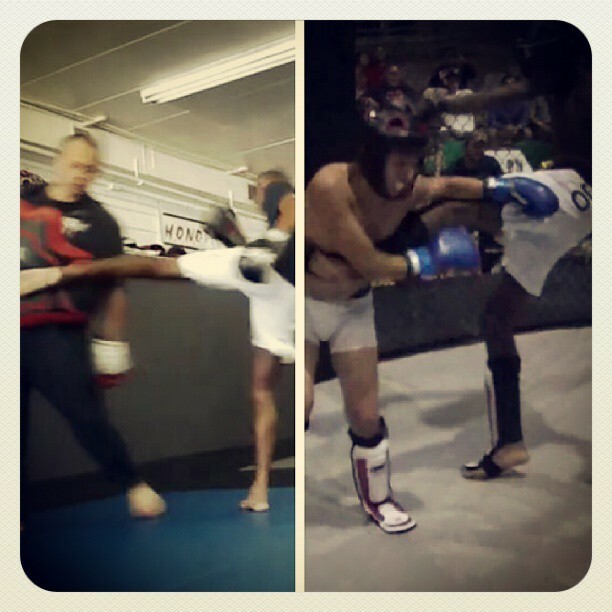 “The MMA Lab was amazing, truly top notch training. I’m concentrated on doing everything I can to move out there. The only thing stopping me from making my pro debut is my lack of a dedicated and quality camp. Training there it will only be a short time until I am where I have been dreaming about,” Nix told Chicago’s MMA. Nix has won a Golden Gloves title as well as the Fight Card middleweight title that he defended twice. Look for him to be on your TV early and often as soon as he makes the transition to pro. • Gilbert Grappling’s Matt Giancarlo is not only an excellent fighter, he’s also a musician. His band “Ghost Sector” recently finished recording their EP. Check out one of the tracks from the EP called “Meanwhile In Bartlett…” It does have some NSFW language in it, so play at your own risk if you are at work. Or, jam it as loud as possible, throw your chair across the room, grab your boss by the lapels, throw him into the parking lot and screech your tires on the way out. That would be the punk thing to do. • Check out Joe Vedepo tonight on Bellator. He split time training here at Top Notch and Alliance for his fight against Kendall Grove. Chicago’s Pearl Gonzalez also fights tonight for the XFC Female Flyweight Title on AXStv. Gonzalez used to train at Combat Do but moved to San Diego and has been training with UFC fighter Liz Carmouche. • “Ill Will” Brooks gets his rematch against Saad Awad in the Bellator lightweight tourney next Friday, October 25. You can read and see what Brooks did to John Alessio here. • Pat Curran defends his Bellator featherweight title November 2 against Daniel Straus. He fought Straus back at XFO 29. • Felice Herrig makes her Invicta debut against the undefeated Tecia Torres on December 7. • The XFO is back on Saturday, October 26 with the Rocktown Showdown.